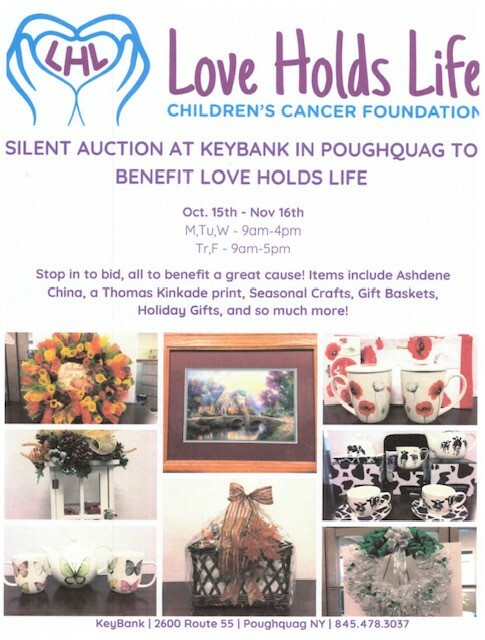 stop by Key Bank Poughquag located at 2600 Route 55, Poughquag NY 12570 to bid on some amazing items during their Silent Auction to benefit Love Holds Life Children’s Cancer Foundation. Auction runs from October 15th through November 16th. Thank you to Key Bank Poughquag for sponsoring this silent auction!